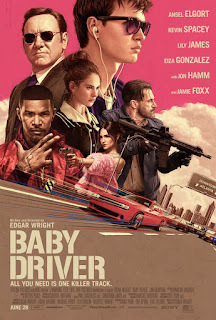 Win a chance to see TriStar Pictures' Baby Driver, directed by Edgar Wright and starring Ansel Elgort, Kevin Spacey, Lily James, Eiza González, Jon Hamm, Jamie Foxx and Jon Bernthal for FREE. Fill in the entry form below, and we'll select 10 winners to receive a run-of-engagement (ROE) pass for two to see Baby Driver at any DC-area AMC Theater. Passes are valid Monday through Thursday (excluding holidays) beginning Monday, July 3rd. Winners will receive their passes in the mail (via USPS.) All entries must be received before Saturday, June 24th at 11:59 PM EST, so act fast. Baby Driver opens June 28. Click here to learn more about the film.